Sunday 22 April will see the 2018 Salt March taking place at the Amphitheatre Durban beach front opposite the Elangeni Hotel. Registration will start at 6.30 a.m. This is an annual march that was started in 2005 on the 50th anniversary of the Congress of the People and the adoption of the Freedom Charter and the 75th anniversary of the famous Salt March in India organised by Mahatma Gandhi. We honour the memories of Mahatma Gandhi and Chief Albert Luthuli on this day. This year we also celebrate the centenary of Cde Nelson Mandela and Cde Albertinah Sisulu both of who promoted the message of nonviolence, nation building and ubuntu. We also celebrate the life of Martin Luther King on the 50th anniversary of his assassination. 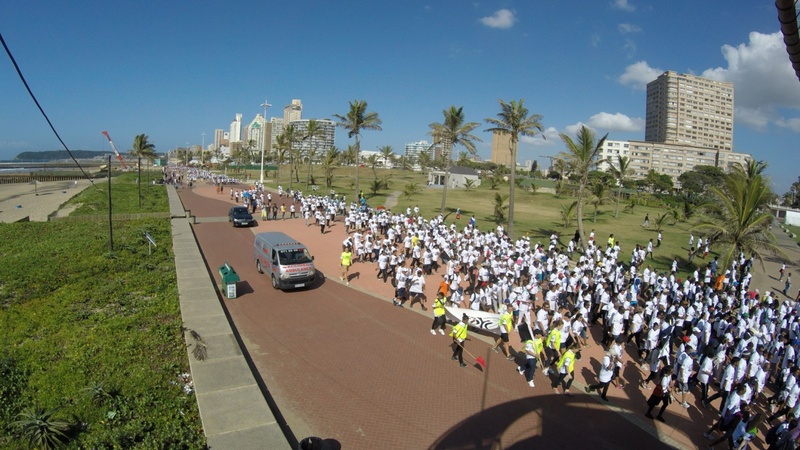 Be inspired by this walk as you will come and walk with and converse with both the Durban community and people from other countries, faiths and groups. The march starts from the Amphitheatre. It starts at 7.30 a.m. when we gather together and have formalities at the amphitheatre. The march will be led by the SANDF or SAPS brass band.